Sinus surgery revolves around several vital organs, so precision is essential. At OCEANN, Dr. Kathy Yu-Syken uses state-of-the-art CT image-guidance to make sure your operation is as gentle and accurate as possible. To learn more about the advantages of CT image-guided sinus procedures, schedule a consultation online or call the office in Huntington Beach, California. What are CT image-guided procedures? CT image-guided procedures use special X-ray equipment to gain the best possible view of your sinus cavity. The technology is painless and noninvasive. Dr. Yu-Syken uses the technology to gain a clear, unobstructed view of the surgical site during sinus surgeries, and also when using it as a diagnostic tool. How do CT image-guided sinus procedures work? Initially, Dr. Yu-Syken takes three CT scans of your sinus cavity, which she can then view on a monitor during the surgery. Then, throughout your operation, Dr. Yu-Syken also uses a special probe tip that provides a fourth view in real time. 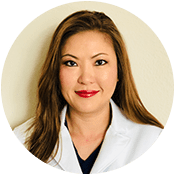 Using the technology, Dr. Yu-Syken can make sure she positions the probe in the correct position inside your nasal cavity, regardless of what type of procedure you’re having. When do I need CT image-guided sinus procedures? CT image-guided surgery is like having a GPS navigational unit. It’s especially helpful if you’ve had surgery previously and had tissue removed, because the landmarks used by the surgeon may no longer be as apparent. Dr. Yu-Syken can make sure that, for example, a sinus balloon is in precisely the right place before it’s inflated. What are the benefits of CT image-guided sinus procedures? CT scans are a safe and effective way to more closely view your sinuses and identify obstructions that affect your breathing. The images are detailed and include essential information about sinus tissue, tumors, or other nasal obstructions. In addition to allowing Dr. Yu-Syken the opportunity to perform complex sinus surgeries more accurately, the technology also helps reduce potential complications. CT imaging technology can also eliminate the need for surgical biopsies or exploratory surgery, further reducing your surgical risks for complications and improving the accuracy of your diagnosis. To find out if you can benefit from CT image-guided sinus procedures, call the office or book an appointment online.